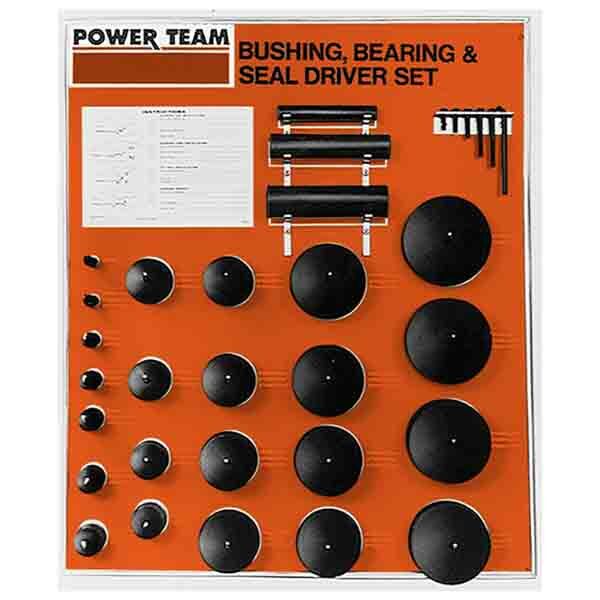 The Power Team range of mechanical bearing pullers, hydraulic push pullers and other bearing removal tools are ideal for removing and installing gears, bearings, pulleys and other press-fitted parts. 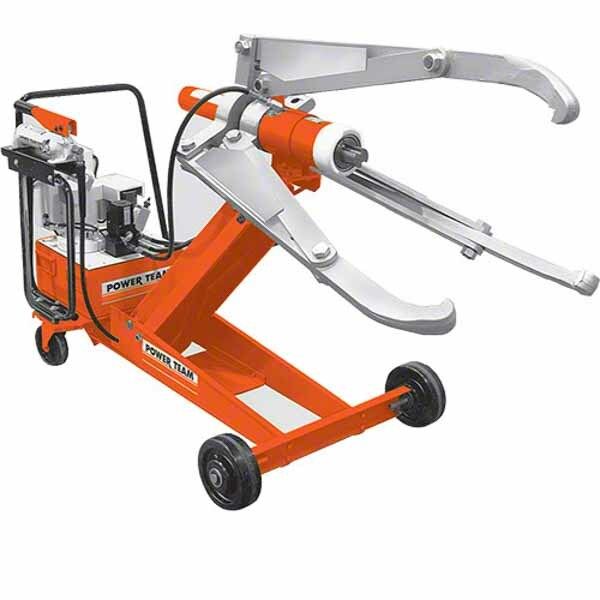 Power Team have a wide range of pulling equipment ranging from basic mechanical pullers to jaw spreads, complete puller and speciality pullers boxed sets and a wide range of accessories. 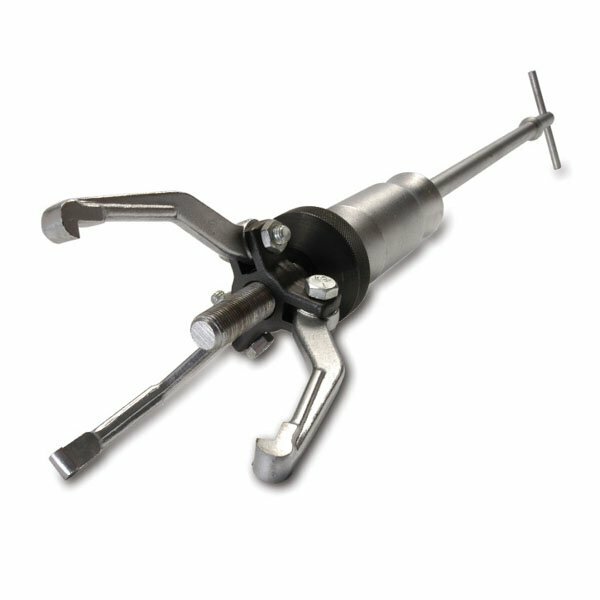 Our wide range means there’s sure to be a bearing puller or bearing extractor tool for you. 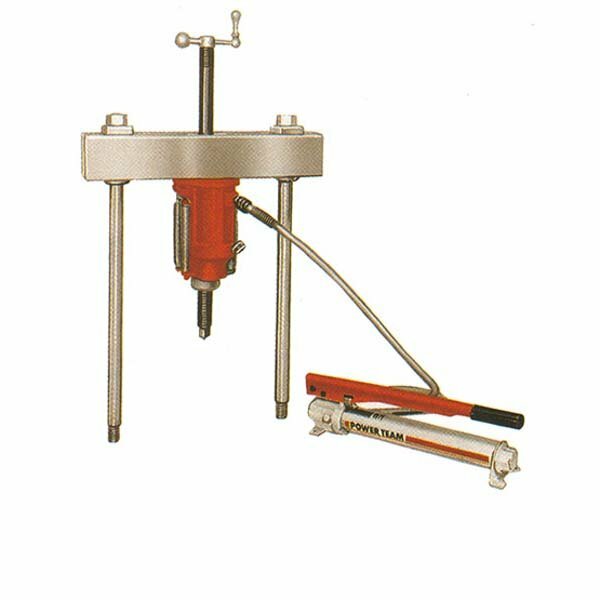 Powered mechanically or by hydraulics, these pullers come with 2 or 3 jaws and have a capacity of 1 to 200 ton capacity. 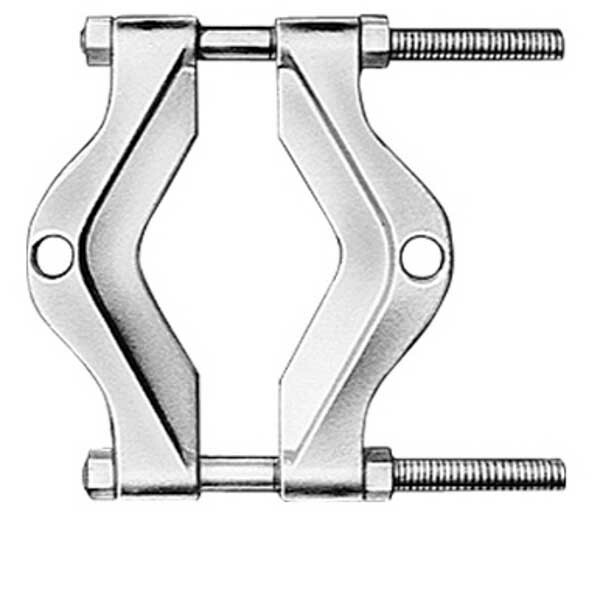 Perfect for use on bearings, gears and press fitted parts, these pullers have a capacity from 1 to 25 tons. 10, 17½ and 30 ton mechanical push-pullers for installing and removing pulleys, bearings, gears and a whole host of press-fitted parts. Perfect for removing bearings, bearing cups, oil seals and bushings. 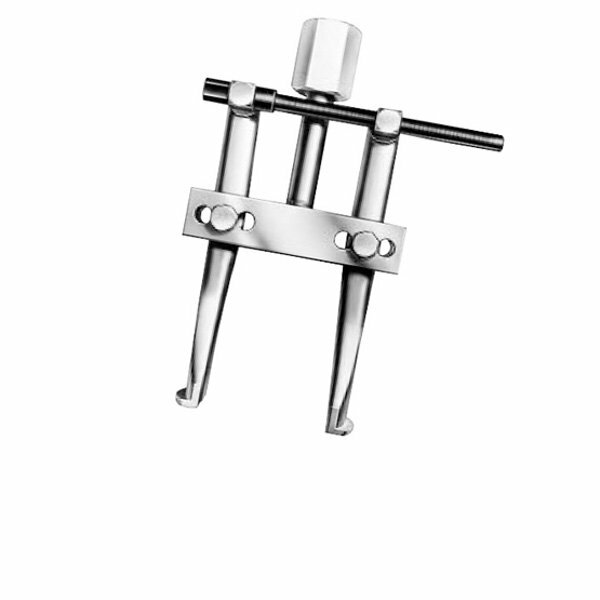 Available with a spread ranging from 38.1mm to 228mm. 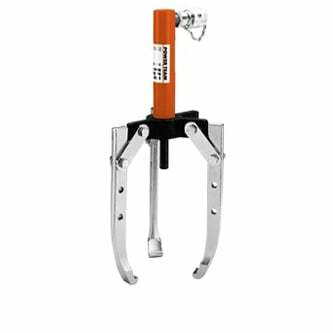 These attachments are ideal for tight spots where the hooking puller jaws cannot be fitted directly onto a part. 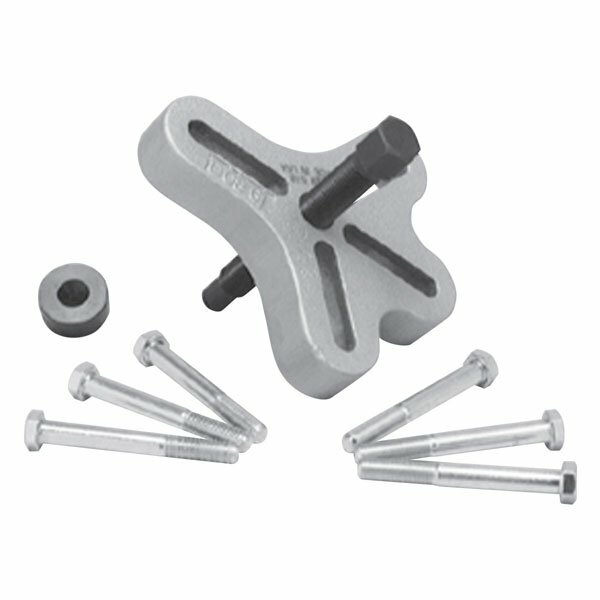 Make previously hard to remove parts like bushings, bearings, sleeves and other friction-fitted parts simple. Swiftly and simply remove press-fitted parts like gears and bearings with these SPX Power Team Pullers. Precision matched pullers and hydraulic components for a range of previously difficult applications. 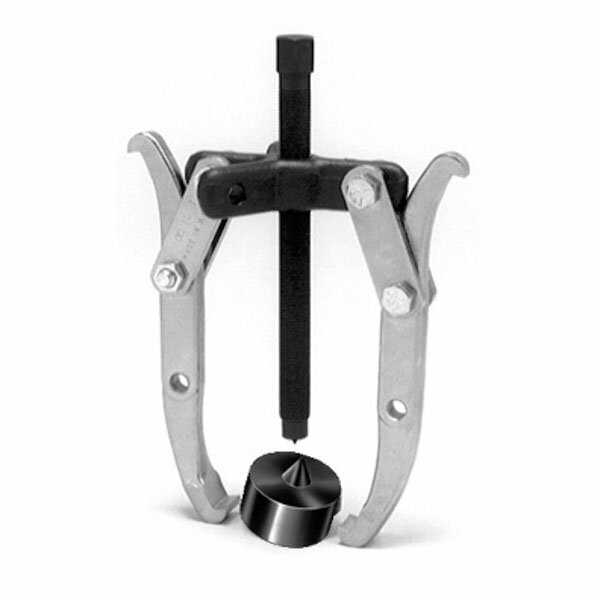 Most imitated puller design in the world: as the pulling force increases, the jaws grab commensurately tighter ensuring a firm holding force. 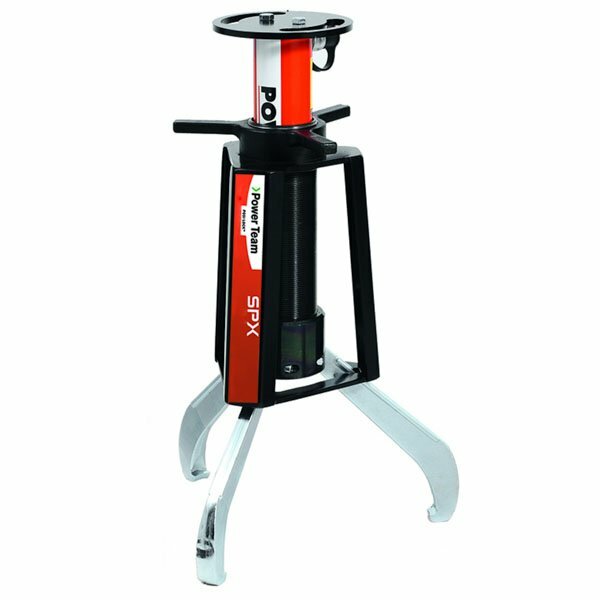 Reduce downtime and increase profits with an ultra-convenient SPX Power Team puller set. 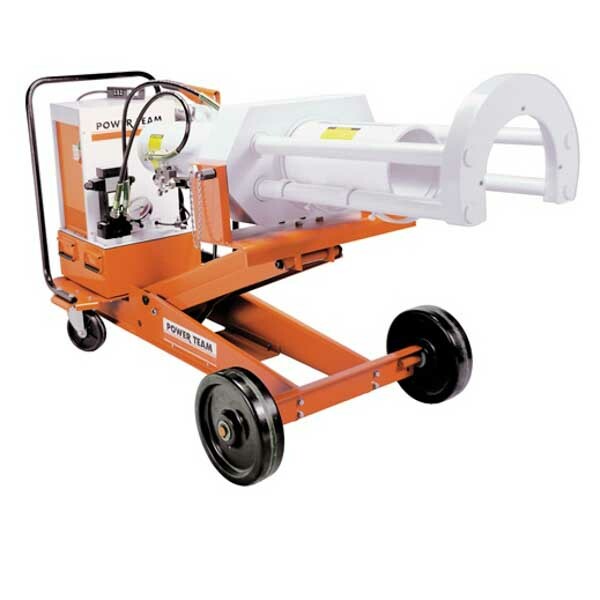 8 ton pushers ideal for installing all manner of press-fit parts like gears, bearings, bushings, wheels and pulleys. With capacities of 55 - 100 tons, these hydraulic lifting units allow for simple and precise puller positioning. Fast and efficient removal or installation of roller bearings with a Power Team lifetime warranty Roller Bearing. Purchase driver sets and accessories for all your bearing pulling requirements. Designed to last by Power Team USA. 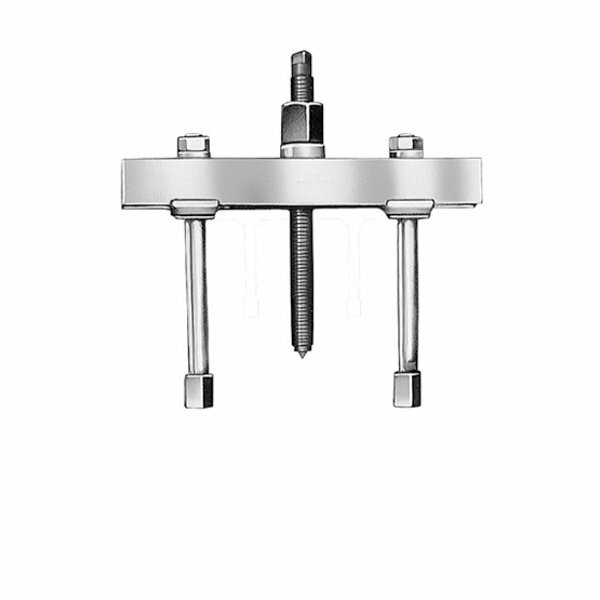 Gear and pulley pullers, male and female threaded adapters, step plates, shaft protectors and more. Here at SGS Engineering, we’re proud to stock a wide variety of bearing pullers made by SPX Power Team. A bearing puller can offer you a number of applications such as installing gears, bearings, pulleys and other fitted parts. Equally, they are also used as a wheel bearing removal tool and will provide you with winning performance every time. Plus, the Power Team range of mechanical and hydraulic bearing pullers are made to the highest possible standard, so you know that you’re getting a model you can trust. As well as being manufactured to the exacting ASME B30.1 standard, you can enjoy a life time warranty on everything from our mechanical pullers to our other bearing extractor tools. 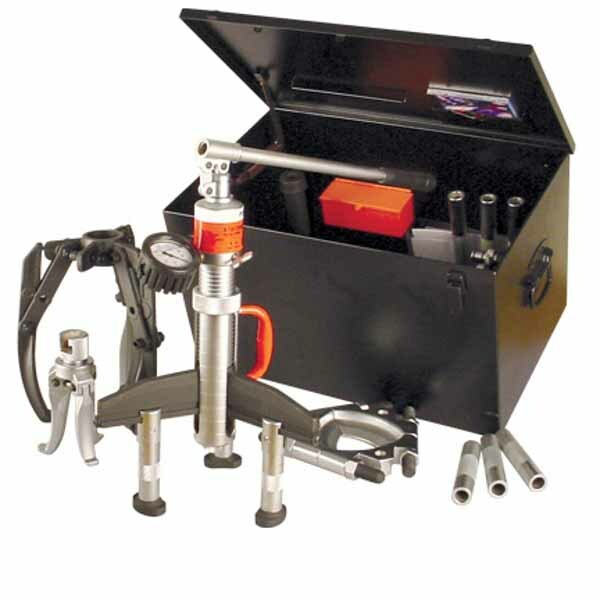 All of our bearing puller accessory kits, maintenance/security chests and protective blankets support the wide range of pullers on offer as well. 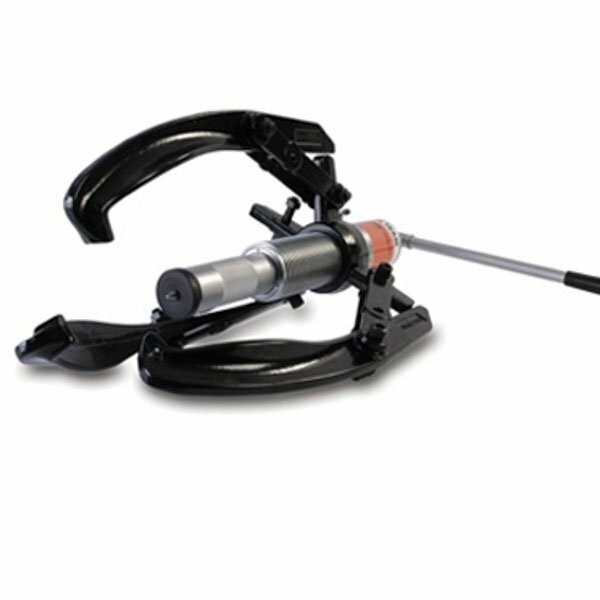 With such a wide range and variety available, we’re confident that we have the perfect model for you whether it’s a mechanical bearing puller or another bearing remover. 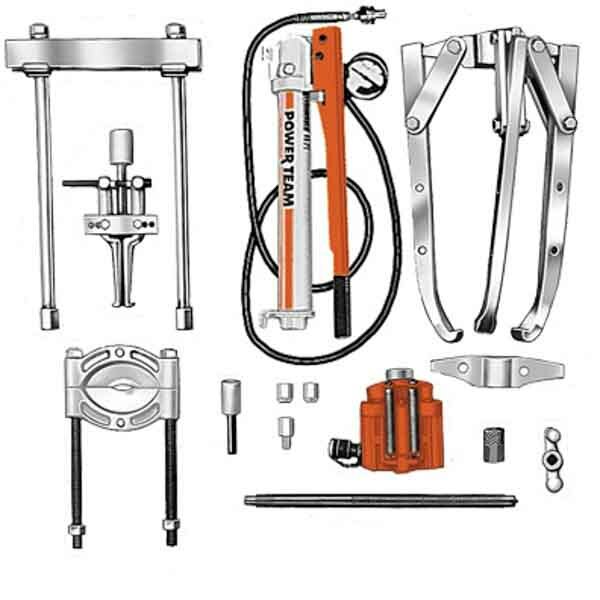 As aforementioned, with options ranging from basic mechanical pullers to jaw spreads, complete puller and speciality pullers boxed sets and a wide range of accessories, we’ve got every wheel bearing puller option covered. So shop online with us today and place your order with SGS Engineering.